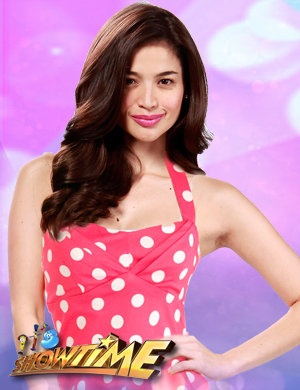 Anne Ojales Curtis-Smith, also known as Anne Curtis-Smith or simply Anne Curtis (born 17 February 1985 in Wangaratta, Victoria, Australia), is a Filipino-Australian actress, and television host with a successful career in the Philippines. Bang Hyun Sung (born June 16, 1991), better known as simply Ryan Bang, is a Korean comedian, television host, television personality, actor, singer and former reality show contestant who rose to fame in the Philippines when he joined the reality show Pinoy Big Brother: Teen Clash of 2010. Danielle Claudine Ortega Garcia, or simply Coleen Garcia, is a Filipina-Spanish model and actress. She was born on September 24, 1992. She studied at Veritas Parochial School. Ana Karylle Padilla Tatlonghari (born March 22, 1981), commonly known by her stage name Karylle, is a Filipino singer, actress, TV host, dancer, writer, and blogger. 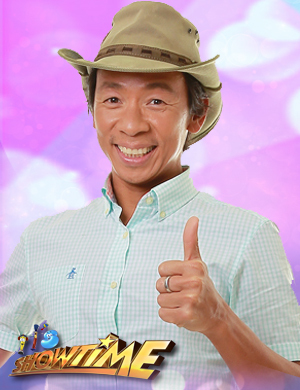 Alejandro Ilagan "Kim" Atienza (born on January 6, 1966 in Manila), better known as Kuya Kim, is a Filipino TV host, actor, voice actor and weatherman. 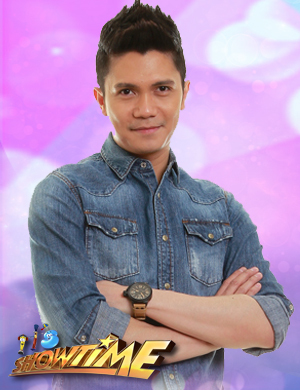 Vhong Navarro (born Ferdinand Hipolito Navarro on January 4, 1977) is a Filipino actor, comedian, dancer, singer, and host at ABS-CBN. He is part of the dance group Streetboys in the Philippines. Jose Marie Borja Viceral (born March 31, 1976), who uses the stage name Vice Ganda, is a Filipino television presenter, endorser, actor, and recording artist. Viceral is a regular host/judge on ABS-CBN’s noontime variety show It's Showtime, and has starred in several films, two of which are considered the highest-grossing films in Philippine cinema. 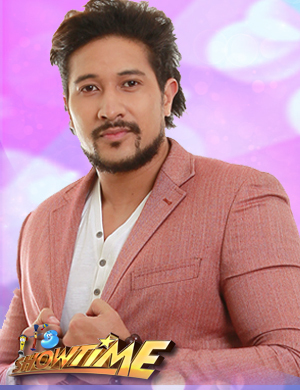 Eric Tai (a.k.a Eruption) was added as a new host during the pilot episode. It's Showtime aired new long-term segments, while the competitive format returned once again as one of its segments. Jugs Jugueta- rhythm guitars, lead vocals of the Itchyworms which is a Filipino rock band whose music is primarily guitar-driven rock. 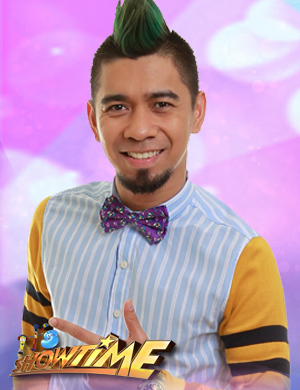 Teddy Corpuz (born December 4, 1978) is a Filipino singer/vocalist of the band Rocksteddy, television presenter, actor and comedian. 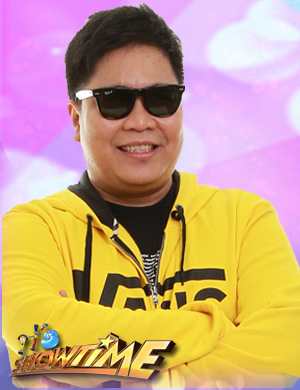 Corpuz is also a regular host/judge on ABS-CBN’s noontime variety show It's Showtime. 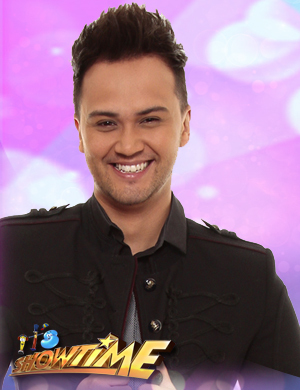 Billy Joe Crawford (born May 16, 1982) is a Filipino-American recording artist, singer-songwriter, actor, TV host and comedian. Virgilio Hilario (born August 11, 1976), better known by his stage name Jhong Hilario, is a Filipino actor and dancer. He is part of the dance group Streetboys in the Philippines.